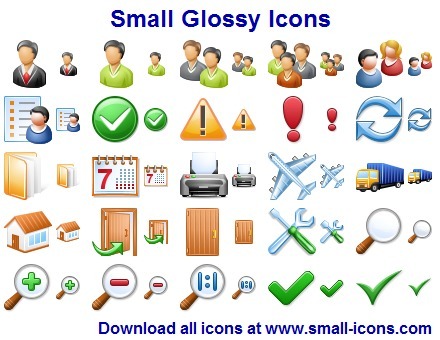 Small Glossy icon collection of professionally drawn clipart and basic toolbar icons. Suitable for any application, user interface (UI icons), toolbar png icons are ideal for web design (social networking and business use) and in the creation of templates. This small PNG icon collection is the perfect choice for any web designer wishing to save time but maintain high quality UI presentation. It's available in a variety of resolutions and formats.